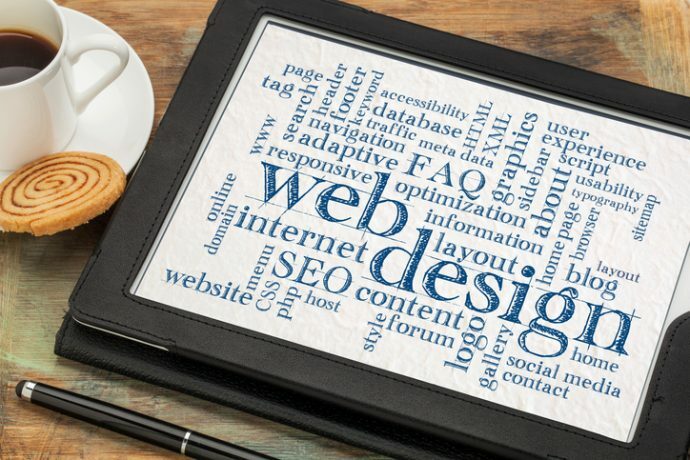 Do you believe that web design is an isolated part of your marketing strategy? If so, you have found the reason your business hasn’t been able to move forward the way you want it to. Web design, although primarily important aesthetically, affects so much more than that. From SEO to branding and conversion, the design of your website is a contributing factor to your internet presence in its entirety. Many businesses do understand that web design is very important, but do they actually know why? How does it impact other aspects of your business? In a study conducted with health websites that gauged the audience’s trust, results showed that design elements have a stronger effect than content when it comes to mistrust. In fact, in the comments as to why they mistrusted a website, 94% of the audience gave answers that were directly related to design elements of a web site. Web design and content go hand in hand in making a website successful. Without amazing design, it is likely that readers won’t even spare a minute to read the content that you have invested in. You should realize that beyond the fact that the design of your website should satisfy the eyes of your audience, it also affects other areas of your marketing stance, including your branding, SEO, and conversion rates. Knowing that web design impacts SEO, you always have to think long term. Think of how design trends constantly change but how your online presence, as well as your brand’s image will last so much longer. Find the right balance. You cannot focus too much on fleeting design trends, but you shouldn’t also completely ignore them. There is something to think about carefully when you look at your business’ branding in terms of web design. While your web design is not really your brand, it is definitely one of the elements that could either help you build trust with your audience or break it. Branding is an investment and you should always approach it with your end goal having your audience think of you as a brand that they trust and depend on. All brand elements, including logos, names, tag lines, packaging, and trademarks, all those contribute to that perception. The design elements that you choose will also directly affect your overall branding strategy. Web design can greatly affect your conversion rates. You should pay attention to elements like navigation, colour, and wording. Intuitive structure of websites encourages users to stay on your site and continue browsing. Similarly, the wording that you use for your calls-to-action directly impacts your conversion rates. For instance, did you know that by just adding the word ‘free’ to your wording when you ask people to sign up for a newsletter or download something you are increasing your conversions by as much as 4.2 percent? That’s incredible, right? Colour greatly affects the perception of viewers, too. Big, bold headlines in red are great while using navy for your call-to-action button has been proven to develop a feeling of trust among readers. It is truly important that you understand the impact of web design in your marketing strategy as well as your business, as a whole. It’s not just a matter of preference. From branding to SEO, to conversion rates, your website’s design has a major role to play when it comes to how your brand is seen and perceived by every consumer. This entry was posted in Analytics, Conversion, Online Marketing, Website and tagged conversion,Web Design,Website,Website Design on August 23, 2017 by ReferLinks Online Marketing.